You asked for it, and Uncle Mike's delivered in grand fashion. Featuring an ultra-adjustable design, this paddle holster is soft, pliable and features air vents for the utmost in wearing ease. You asked for it, and Uncle Mike&apos;s delivered in grand fashion. 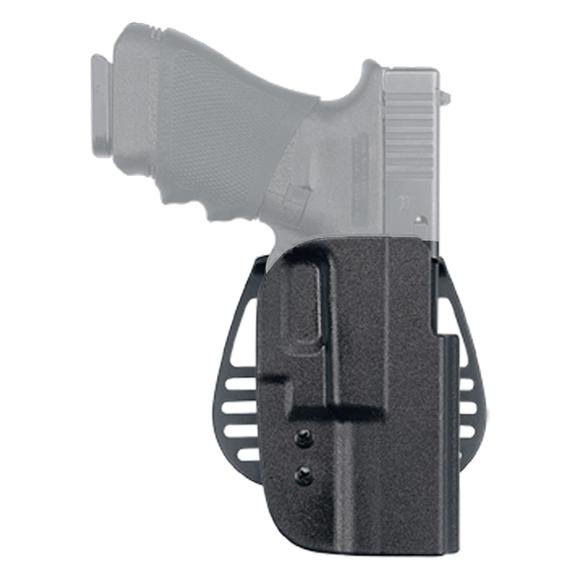 Featuring an ultra-adjustable design, this paddle holster is soft, pliable and features air vents for the utmost in wearing ease.